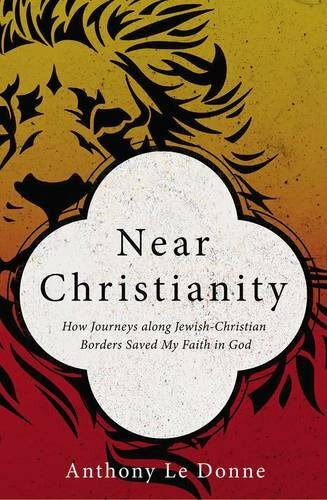 My friend, Anthony Le Donne, has recently written a book entitled, Near Christianity: How Journeys along Jewish-Christian Borders Saved My Faith in God (Zondervan, 2016). I have long been a fan of Anthony’s more academic writing (here, here) and his student-oriented (here) and popular-appeal books (here) about Jesus, but this book is a departure for him. 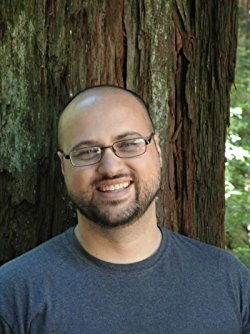 I recently had an opportunity to interview Anthony about the book and the motivations for writing about such different subject matter. (CWS): You say at the start of the book that you’re writing for fellow Christians. How much of your motivation was to expose Christians to an alternative history of Christianity? (ALD): I am interested in alternative versions of history. Our histories are always being revised. Sometimes this is good, sometimes not. Christians in particular tend to revise our histories to suit our positive self image. We remember great “fathers” and historic episodes heroically. We tend to see the expansion of Christianity as a spread of the good news. I guess part of my book is about trying to listen to voices from beyond the Christian echo chamber. It turns out that our religious neighbors remember the expansion of Christianity differently. We need as many different voices in the study of our history as possible. (CWS): In the book you write: “How did Christian morality look in Nazi Europe? What dogmatic shape did it take? And if we find that it looked similar to the Christian moralities at work in the heresy hunting of early Christian theology, or Constantine’s vision, or the Crusades, or our major church splits, or manifest destiny, or the Salem witch trials, or Confederate America, or the Red Scare, or countless acts of harm to LGBTQ+ children, should we not stop to wonder if there is a deeper sickness at work?” Do you think that a deeper sickness is at the heart of Christianity? And if so, what is it? (ALD): I call this the “mythological foothold.” It is the very old Christian strategy to create a caricature of an “other” who represents some sort of danger, and then triumph over the caricature we’ve created. I don’t think that this needs to be the heart of Christianity. But, for some reason, many Christians need an ideological enemy. This is a very old problem in Christian thought and it began with our attempt to supplant Jews and Judaism. But we’re now seeing the same sort of ideological strategy at work in western Islamophobia. We’ve created a stereotype of Muslims and we’re using it as a rallying cry. It really is the worst version of Christianity. The good news is that we don’t need an enemy to be faithful Christians. We have it in our spiritual DNA to remedy this. (CWS): In your chapter on Christmas, you denounce Donald Trump as a demagogue. I imagine that many evangelicals will not like this description, and this book is published with Zondervan, an openly evangelical press. What, do you think, is the appeal of Trump’s politics to conservative Christians? (ALD) : Well, I guess that I ought to define “demagogue” as I neglect to do it in the book. So here the Merriam-Webster definition: “a leader who makes use of popular prejudices and false claims and promises in order to gain power”; or “a leader championing the cause of the common people in ancient times.” Aside from the “ancient times” portion of this, I think that this is a perfect description of Mr. Trump. He comes up in the book because he contributes to the so-called “war” on Christmas. My point is that Christians ought to be focusing on Advent rather than fueling a culture war. As a Christian, Advent is important to me. But national surveys show that most American Christians do not observe these important weeks of preparation before Christmas. We have allowed something sacred to be lost. Advent is a time for anticipation, remembrance, and listening for God. But we’ve allowed this time of year to become a consumer frenzy. This is what C. S. Lewis called his “pet abomination”—one can only imagine what he would have thought of people being trampled at Wal-Mart or Best Buy. One of the consequences of this secularization of the Christian calendar is that we’ve created a season of protest. We’ve allowed the news media to draw us into culture wars and Advent becomes a time of celebrating Christmas as a show of religious freedom. (CWS): Since this book is about your “journeys along Jewish-Christian borders,” can you give us a preview of some of the important insights that have come to you in your interactions with Jewish friends, Jewish customs, and Jewish texts? (ALD): Sure. But first let me say that my experience of Jews and Judaism is idiosyncratic. Everything that I write in this book reveals only my particular experience. I imagine that others might gain different insights from different sort of inter-religious conversations. In other words, nothing that I say should be used as a general stereotype. This book is more about what I’ve learned from my conversations and less about simply retelling bits of wisdom I’ve digested. That said, here are a few things I’ve learned about Christianity: (1) Christians are much more powerful than we know. We have to get over the us-against-the-world myth. Our inferiority complex is dangerous on a global scale. There are 2.7 billion of us. That we have considerably more power than we think we do is both good news and bad news. It is an enormous responsibility. (2) The best and fastest way to make the world a better place is for Christianity to become the best version of itself. This is not something that I learned from a book or a rabbi or some ancient bit of wisdom. It’s just something that would have never occurred to me unless I had journeyed along Jewish-Christian borders and fault-lines. Finally, (3) most of my Jewish friends want me to become a better Christian. I find this especially motivating. My devotion to God through Christ actually makes me a more interesting dialogue partner at this particular table. For whatever it’s worth, I don’t think that I can say the same thing about my Christian friends. I find that the more time I spend at the Jewish-Christian fence, the more I want to be a good neighbor. I hope this is enough to whet your appetite. I never cease to be entertained and informed by Anthony’s writing. This book is no exception. Now that you have read the interview, you should go and buy a copy of the book (or two). I’m sure Anthony would appreciate that.